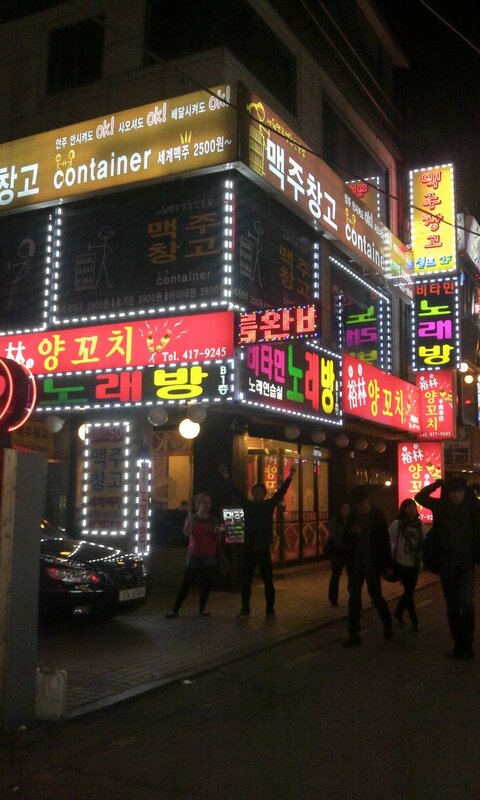 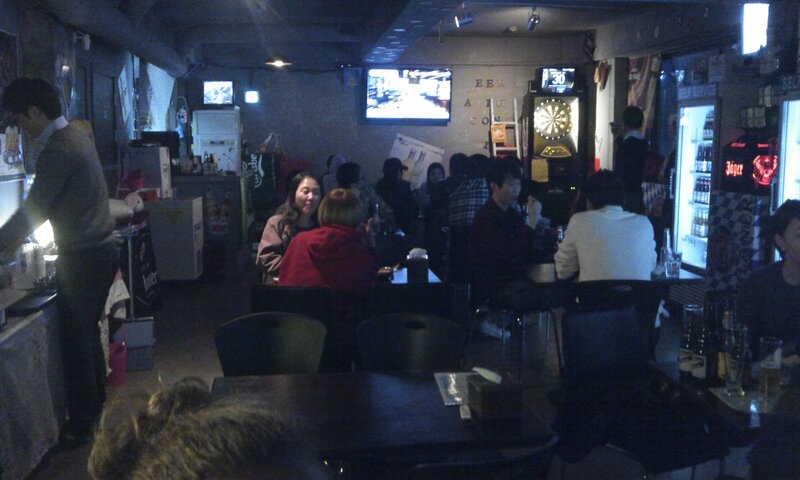 맥주창고 (Container) is located off the Shinchun/Shincheon subway exit. 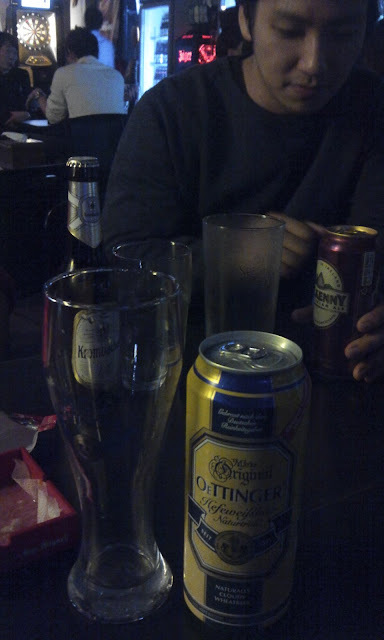 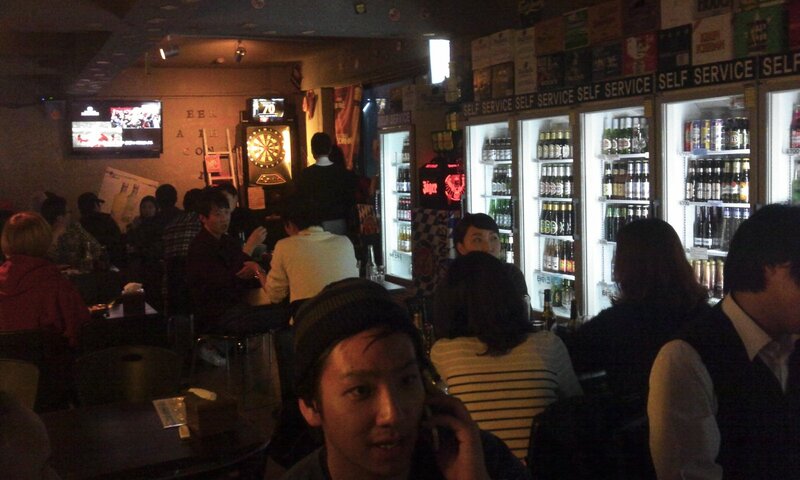 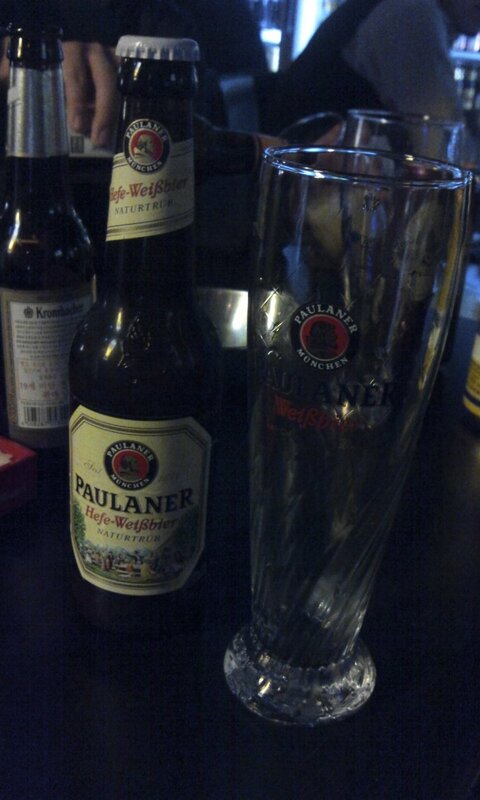 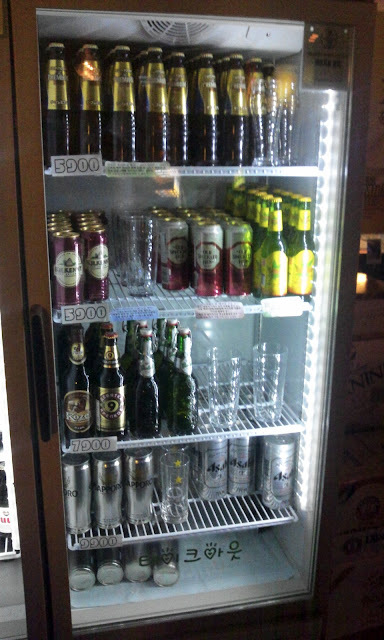 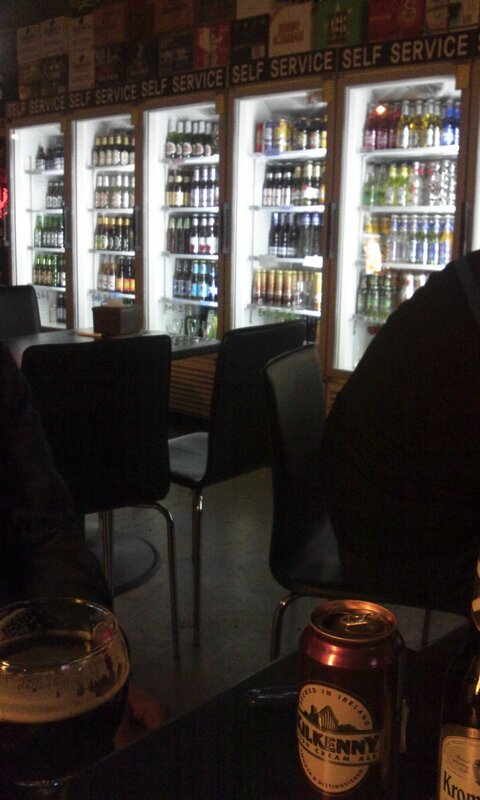 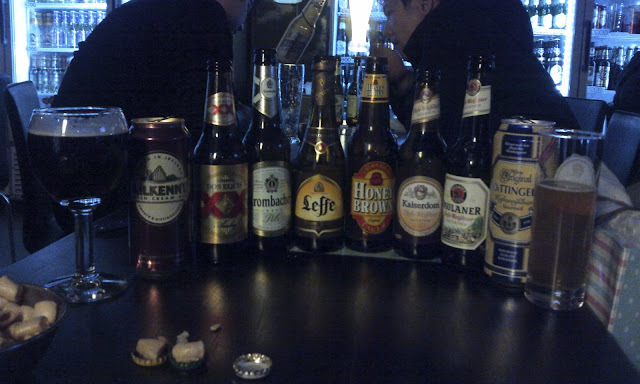 It's a self-service bar with fridges full of imported beers for relatively cheap prices. 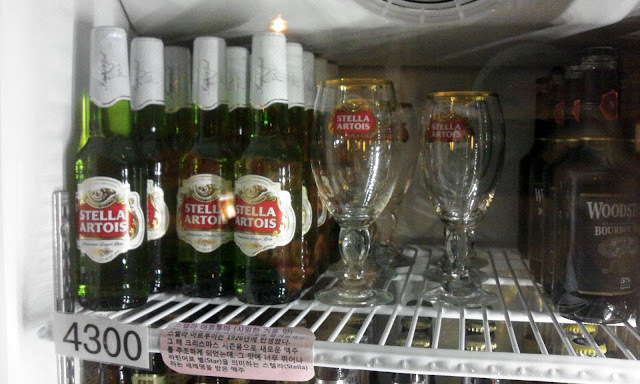 Many of the beers have matching glasses located within the refrigerators.